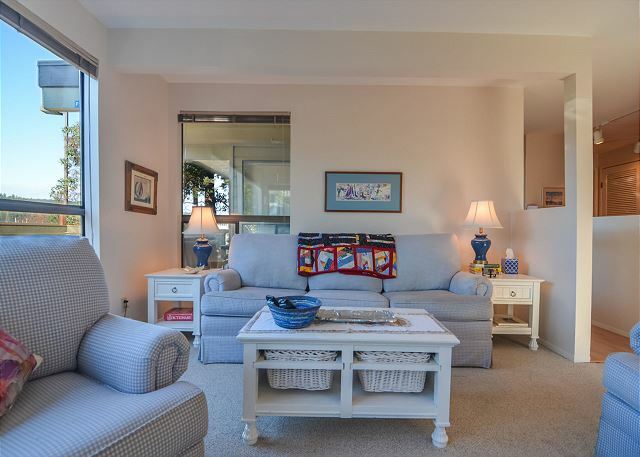 Welcome to the As Sails Go By Condo! The cozy living room with carpet and plenty of seating. 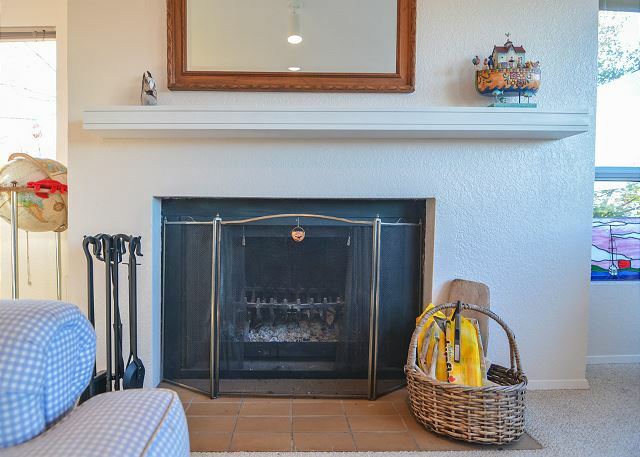 A second view of the living room showing the fireplace. An additional view of the living room. A close up view of the fireplace and mantel. 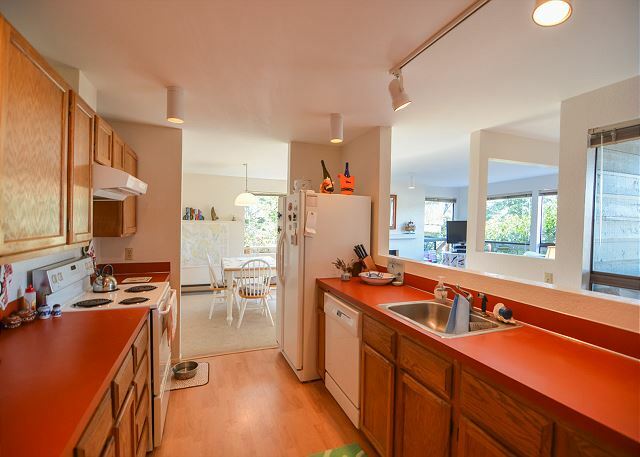 This kitchen is equipped with white appliances that go well with the fun orange counter tops. A close up view of the electric stove. 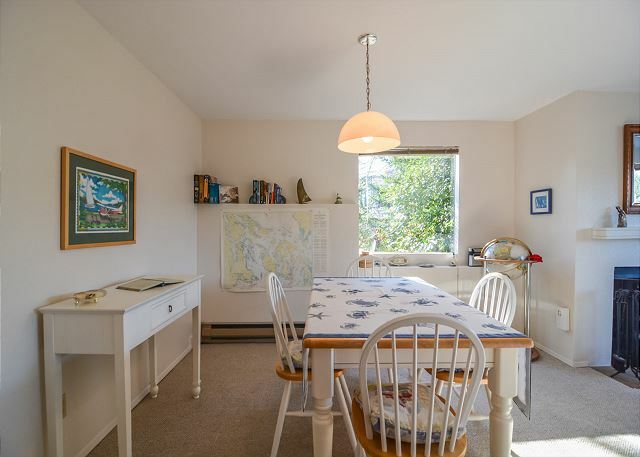 The dining room table is conveniently located right off the kitchen. 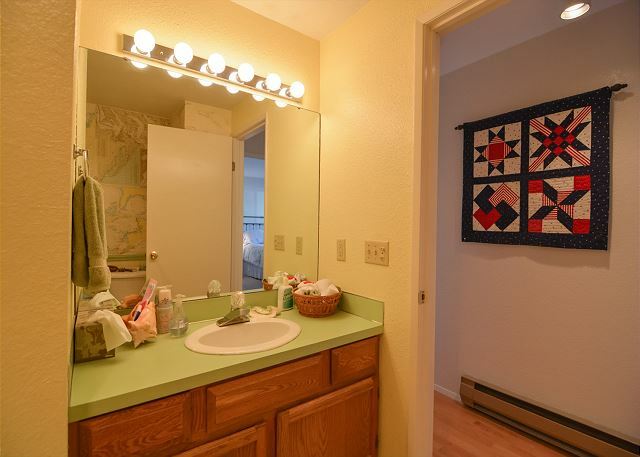 The bathroom is located off the hallway. 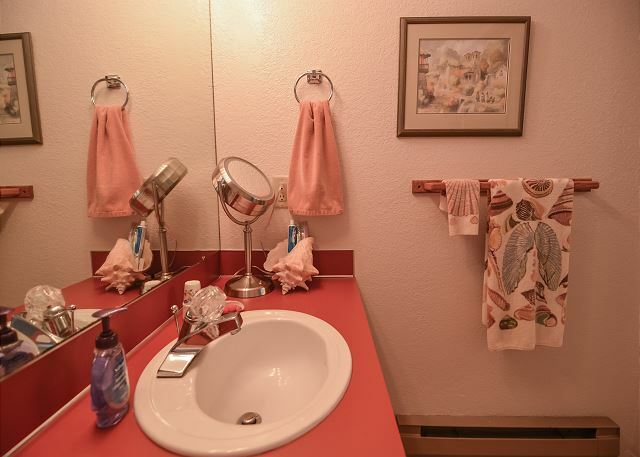 Here is a second view of the bathroom featuring a large soaking tub and intriguing map wall paper. 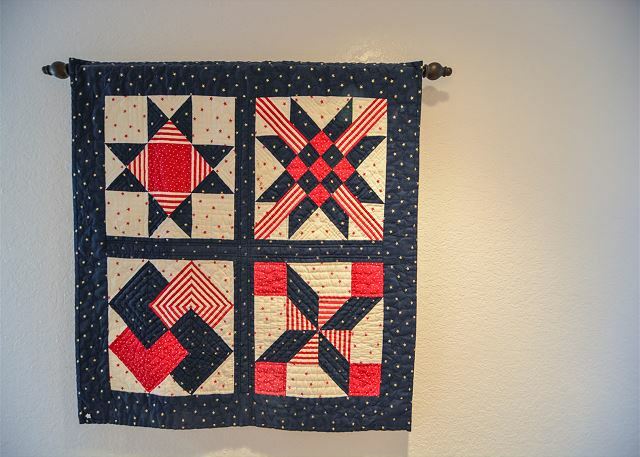 A beautiful custom wall hanging of quality quilt work. The master bedroom comes complete with nightstands on both sides of the bed as well as a walkout patio to easily enjoy the deck. 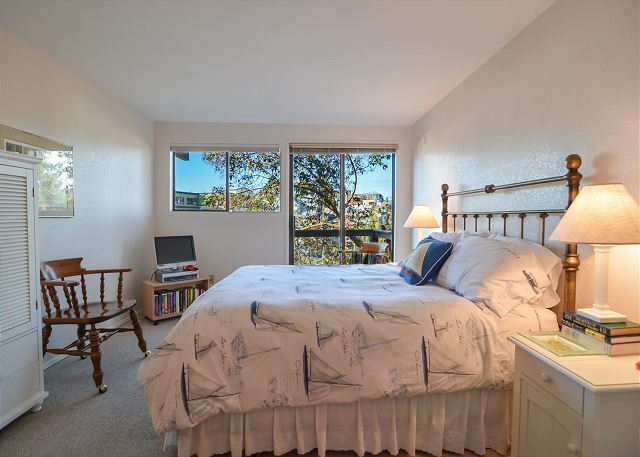 An additional view of the master bedroom. 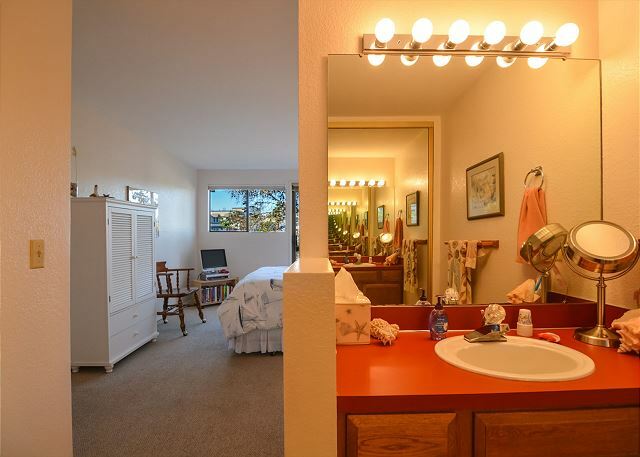 The private master bathroom is conveniently accessible. A second view of the master bathroom vanity. 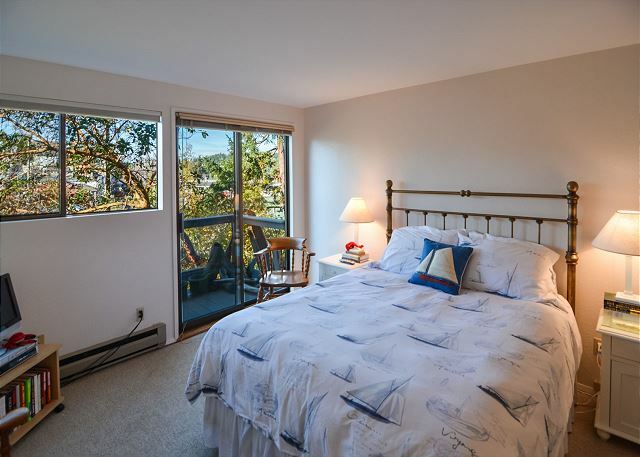 The guest bedroom looks out to the deck and the town of Friday Harbor. Nautical Décor reminds you of the beautiful island setting you are in. 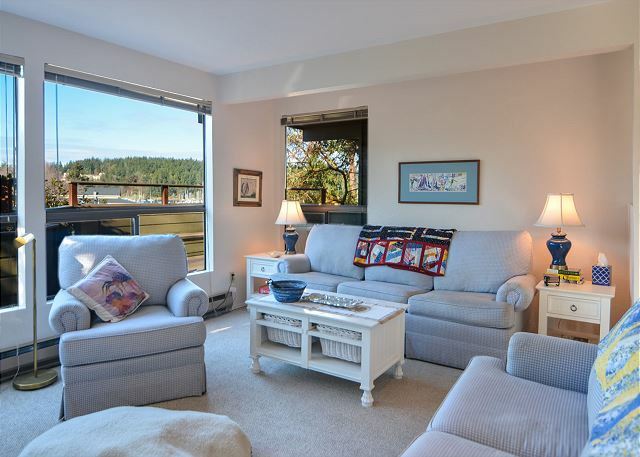 This vacation rental in Friday Harbor is close to the ferry landing has views of the town and marina. 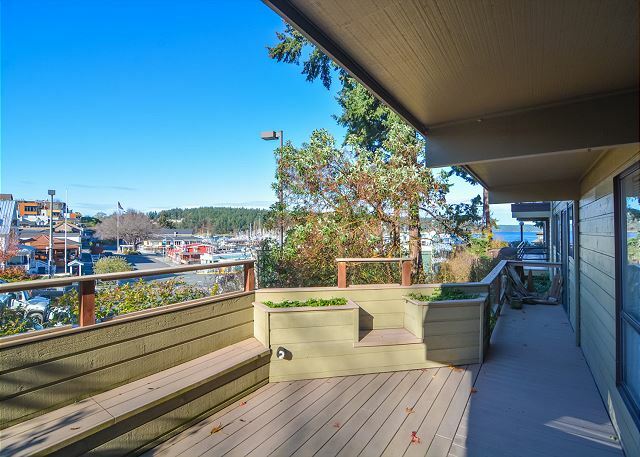 It is within walking distance of all Friday Harbor shops, restaurants, and galleries making it a great location. 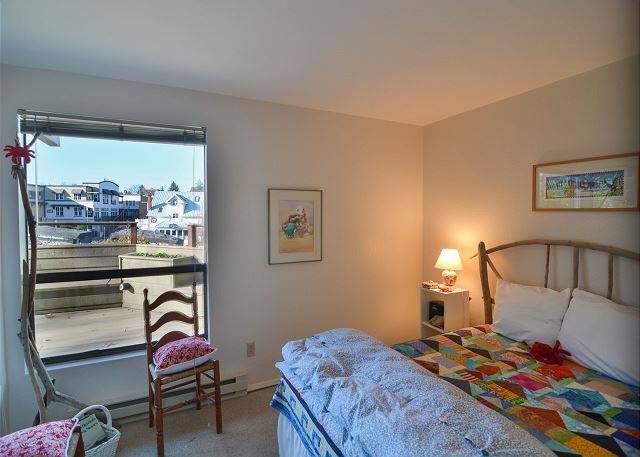 The condo is in a small and well maintained building, offering single level living once inside. 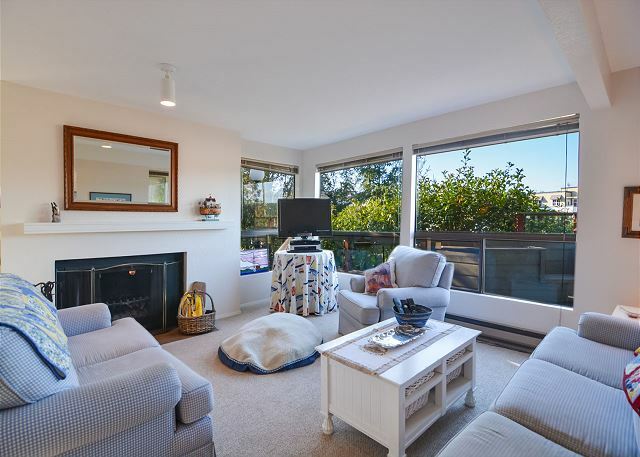 Decorated with touches that reflect the Islands lifestyle of the owners, this home offers a master bedroom with a walk-in shower stall en-suite, and a guest bathroom with a soaking tub. Available at a monthly rate that is less than many comparable vacation homes charge for a week, you are sure to enjoy a relaxing stay. Enjoy the life that locals lead. Unpack once, come and go at your leisure, or split the month and trade off a week or two with a family member. Bring your cell phone since there is no land line at the condo, but there is WIFI.